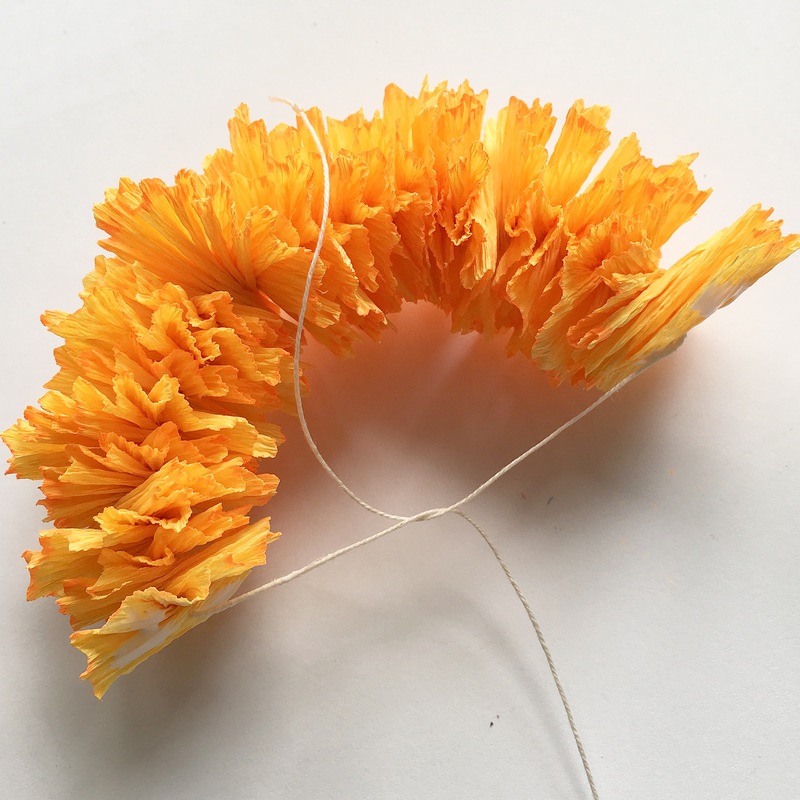 Do you want to make a marigold paper flower and to have your own long lasting small sun at home? 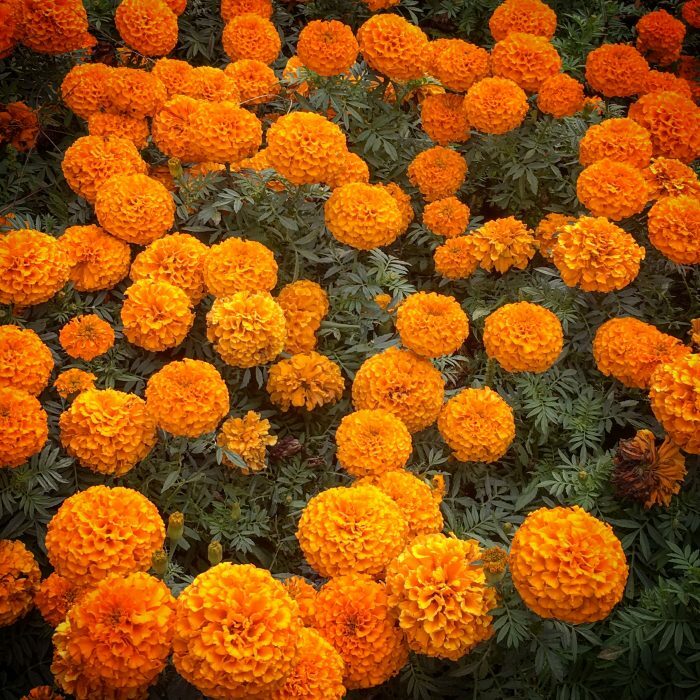 “Their warm orange balls look like small suns”, my Grandmother said often. And yes, I always have the feeling they will warm my hands if I take them. When I first had my own home, my Grandmother came with some flowers for my balcony and window flowerpots. I had a lot of space for flowers, so we both decided to grow there all the flowers we both love. 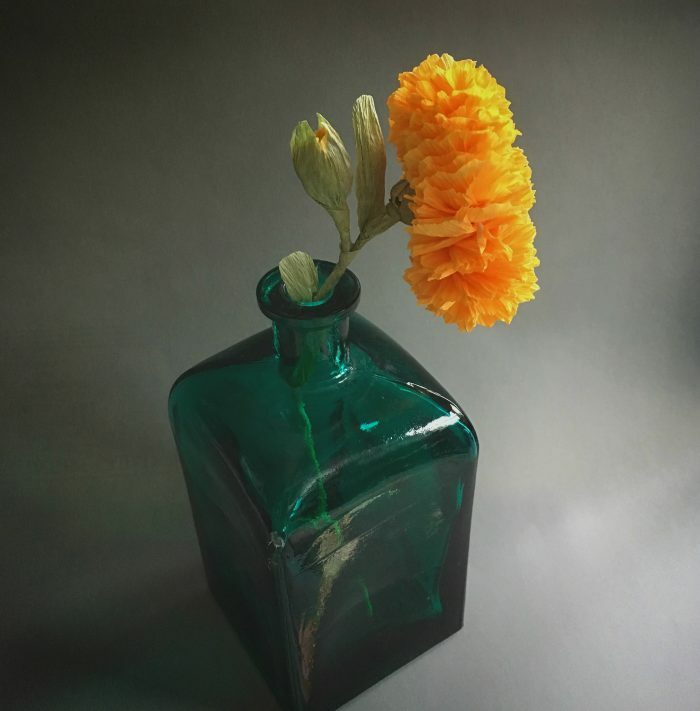 The marigolds were one of them. 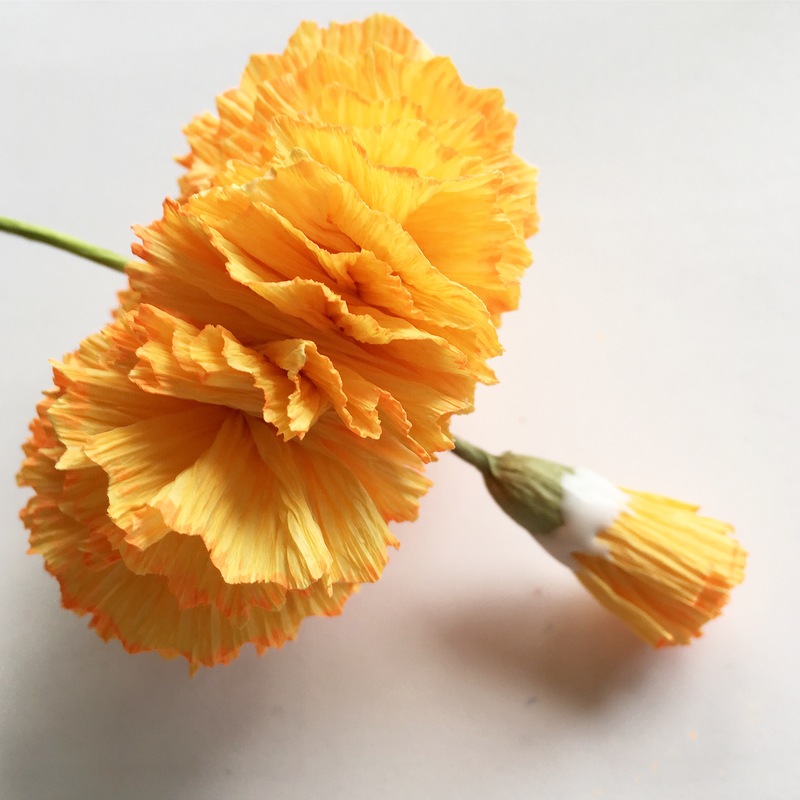 The problem is that marigold flowers is a bit difficult to grow in flower pots. They need you always around, everyday to care about them and to appreciate their warm beauty. And to give them a lot of water, of course. 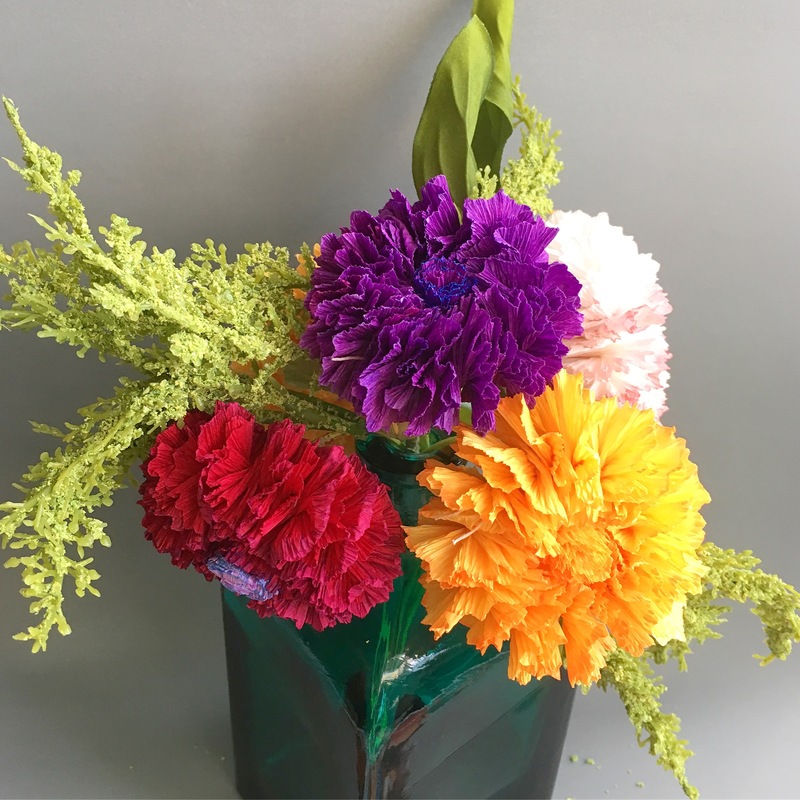 Traveling often for long periods of time makes the things difficult for flower lovers. I am always giving the keys to the neighbours, but every time when we came back, the flowers are sad, sometimes some of them are dead. 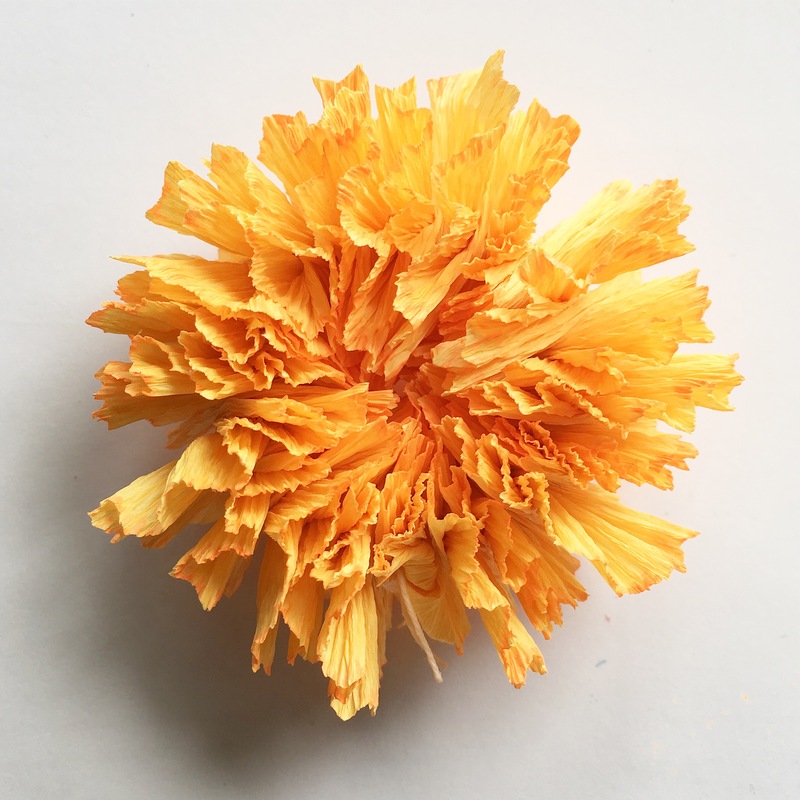 So, how to make a marigold paper flower? Believe me, it is very easy and does not take long time. 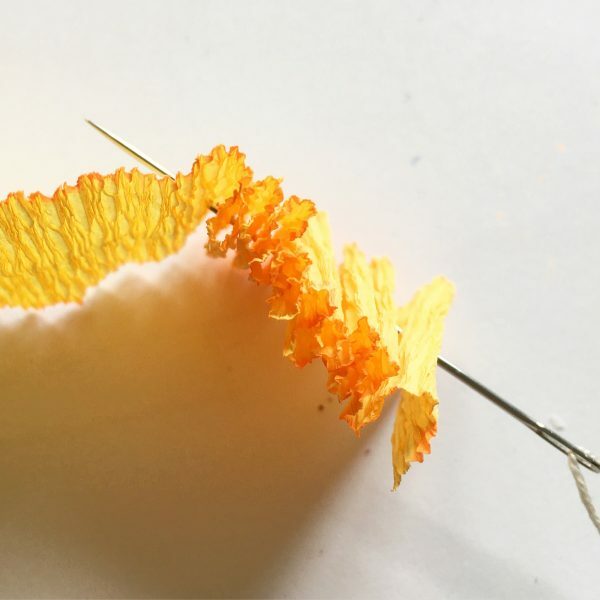 First you need some crepe paper in bright orange colour. 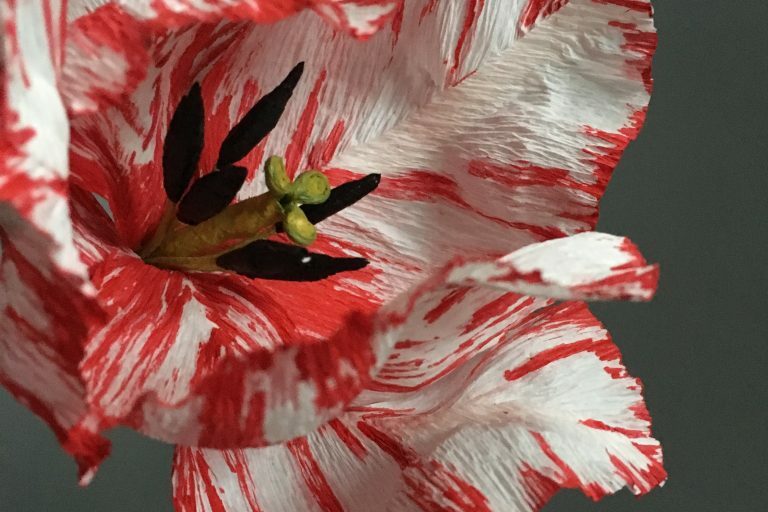 Some crepe papers are painting your fingers, so very often I am buying a white one and painting it with acrylic paints. But sometimes I am lazy, so prefer the already coloured one. 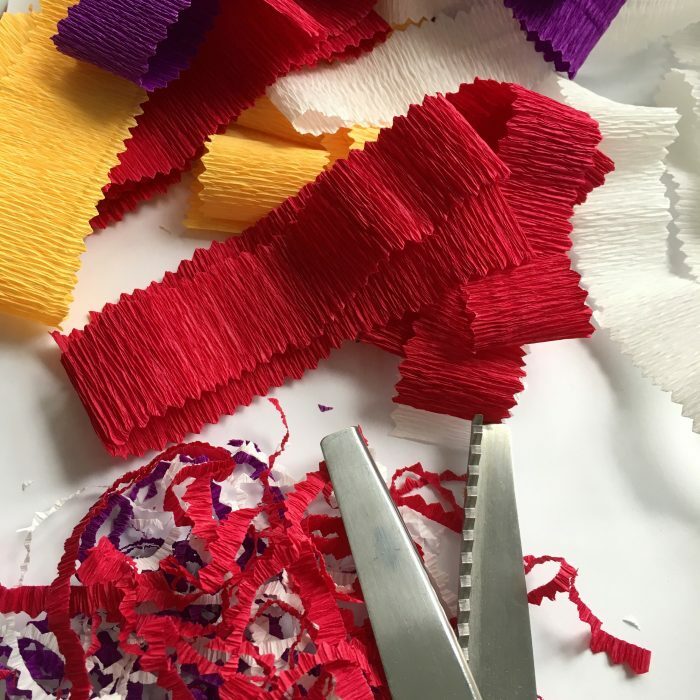 Use your zig-zag scissors or any otger “curly”scissors you have and make ribbons like these ones. For one flower maybe you will need your ribbons to be around 2 meters, but this is not a problem. You can make some shorter and stick them together later. Separate from the ribbon a piece around 10 cm long. 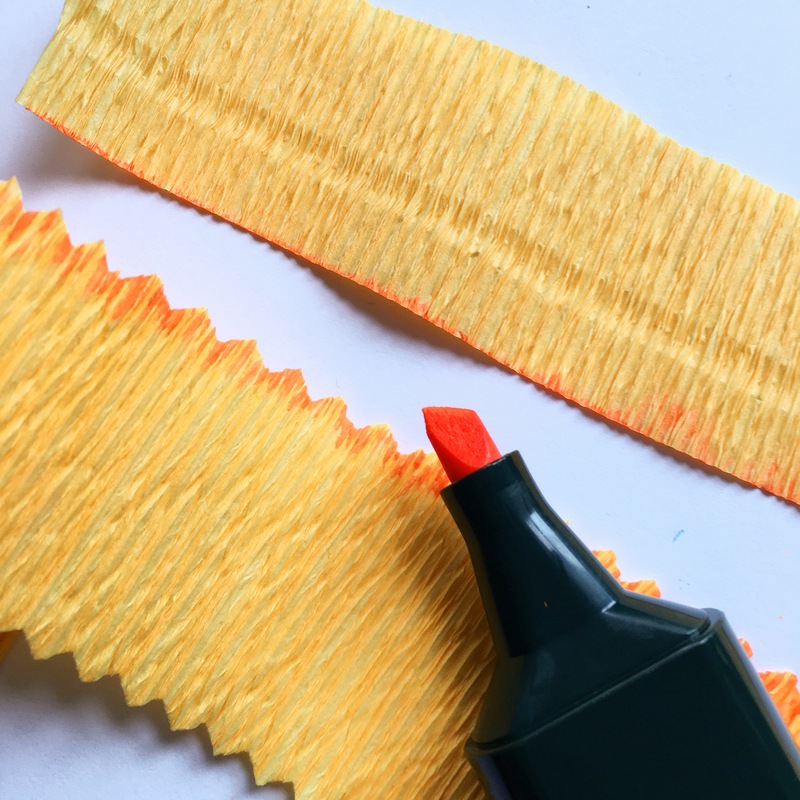 The easiest way is to take your kids markers and to make these simple lines in the both sides of the ribbon pieces. 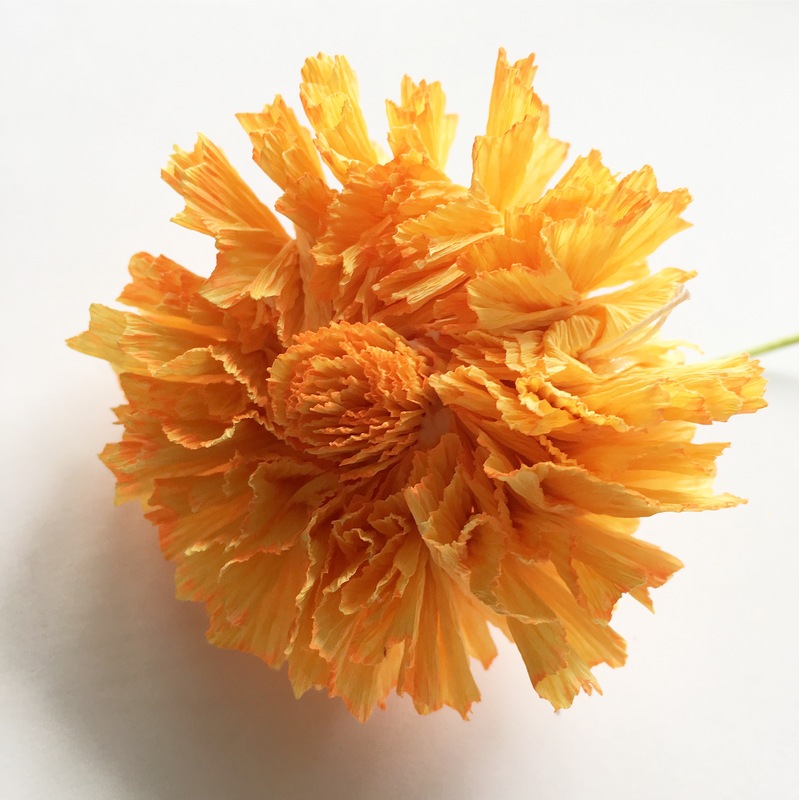 This will make your marigold flowers more realistic and will make the colours deeper. 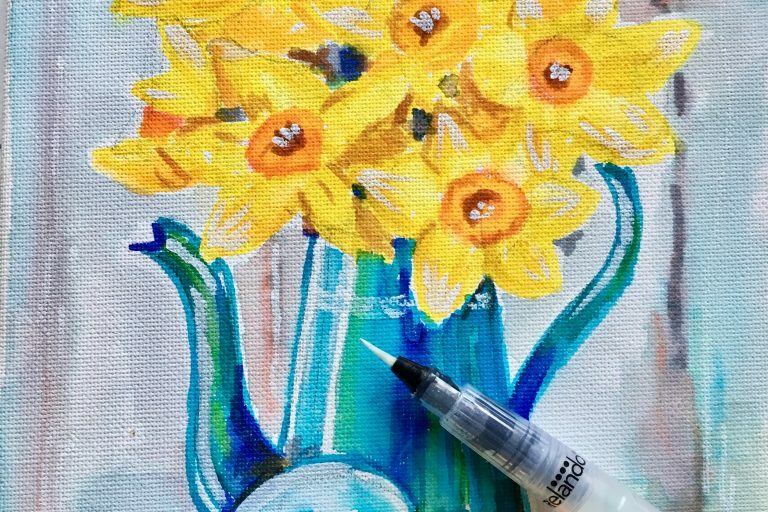 Of course you can use acrylic or watercolour paint too. The choice is yours and there is no a wrong way. 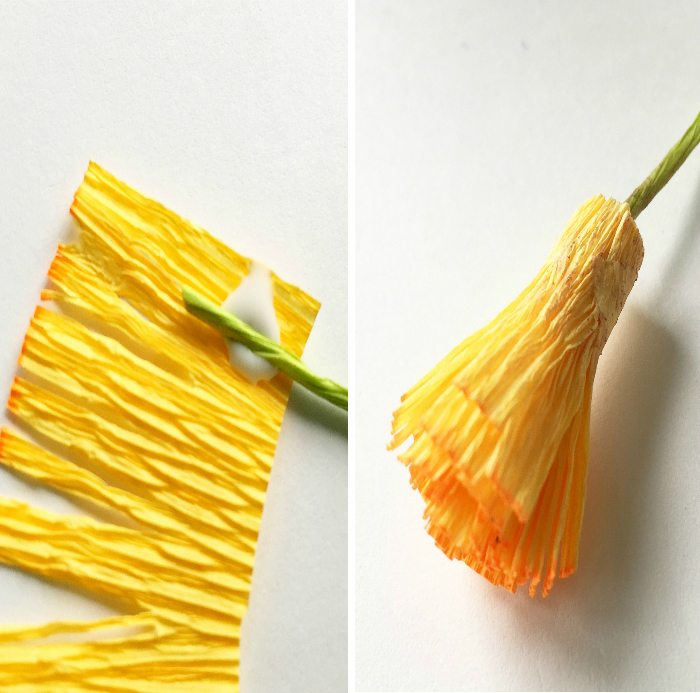 Cut the short piece of the crepe paper ribbon to look like a grass. 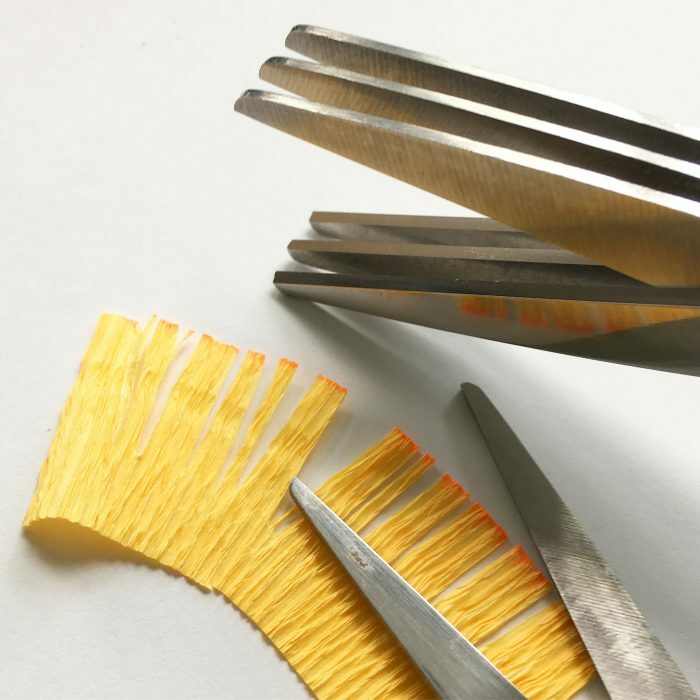 You can use a spice scissors or normal ones. 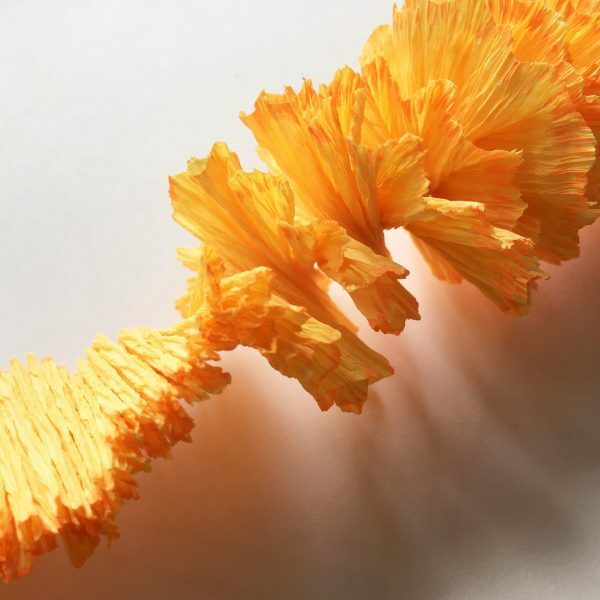 Put some glue in the end of the “grass”-looking paper ribbon and spin it around a piece of paper wire. Of course, you can use normal wire, which after just will need to cover with green crepe paper. 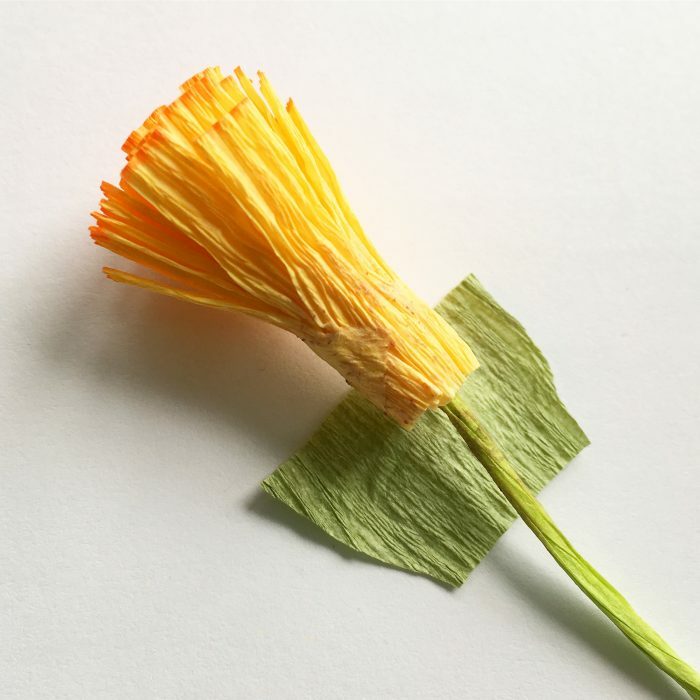 Cut a small piece of green crepe paper. It is not necessary to keep the same shape from the picture, but will be a little bit more easy to twist the edges. 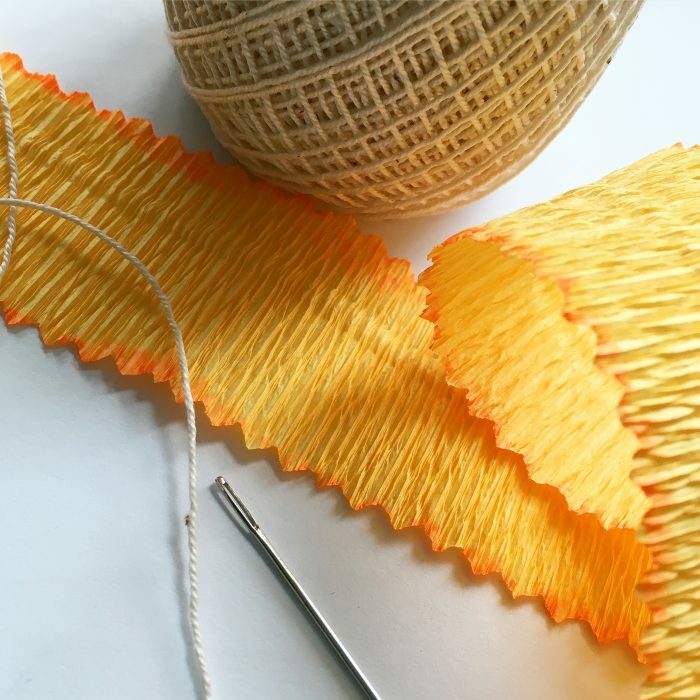 Leave the middle part on a side to dry and start making the “ball”. Firs you heed to glue together the ribbon parts. After that you will need a strong thick thread and a needle. 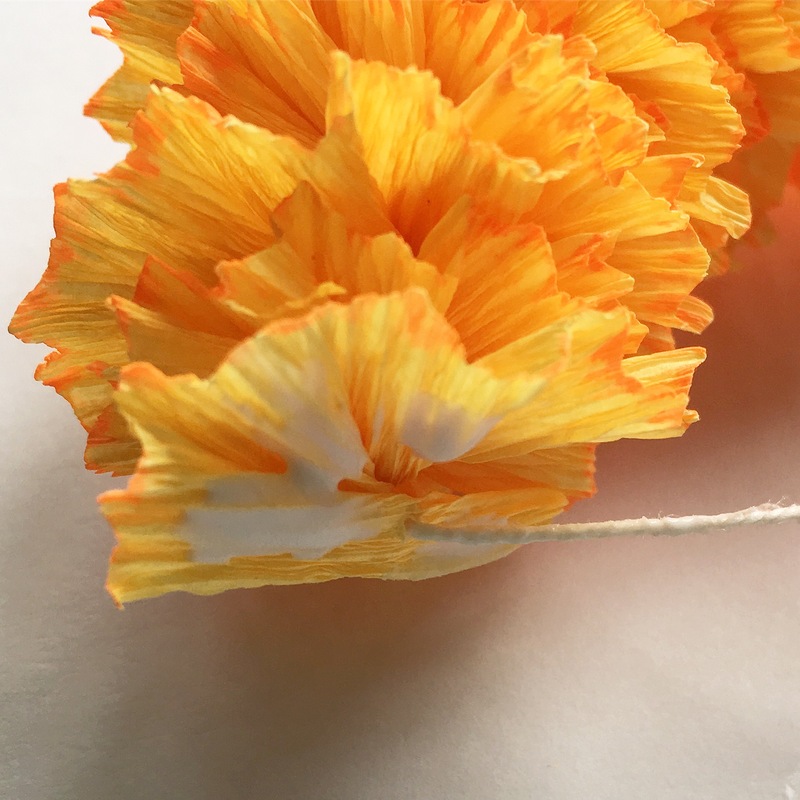 Ruffle your paper ribbon by using a running stitch. 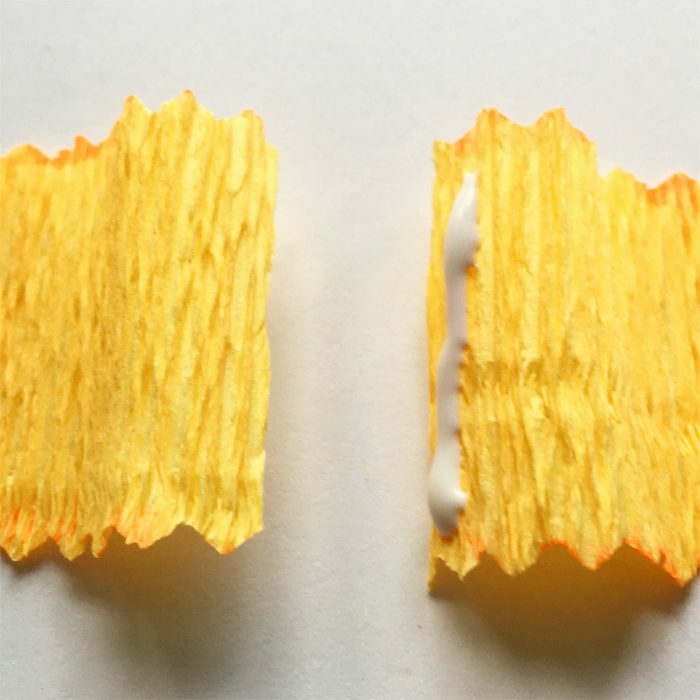 When all the ribbon is ruffled, start twisting it. Use only one direction and twist careful and thick. … and tie them up. Your ball is already done! Pit it in the hole with some glue in the middle orange part. 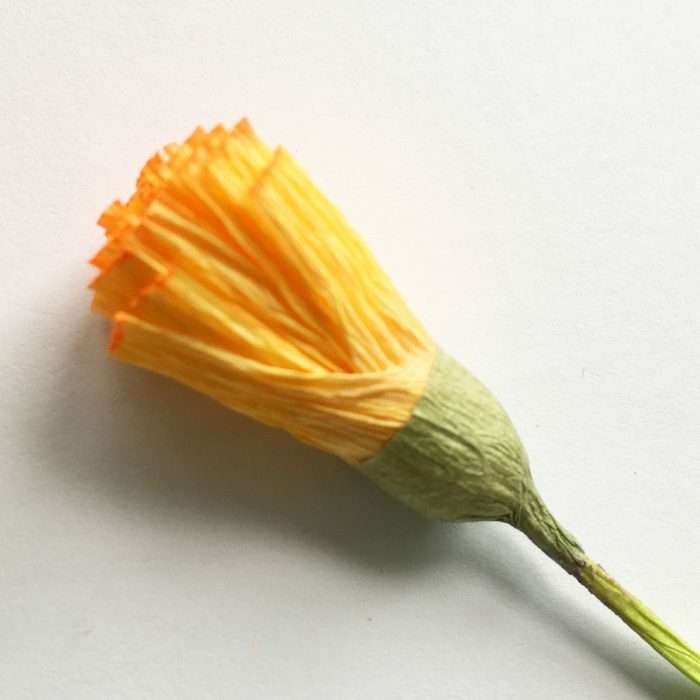 This will keep your flower to not fall apart. 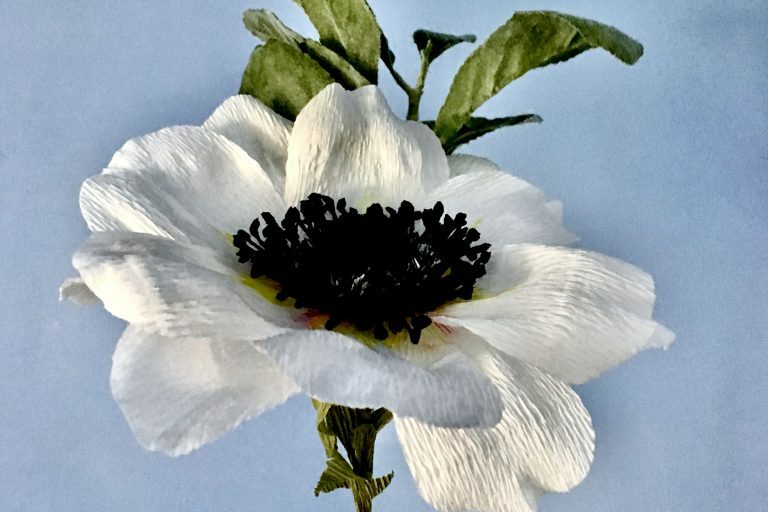 Your flower is ready, you can glue some small leaves or to make buds. And, of course, is not necessary to use only orange and yellow colours. 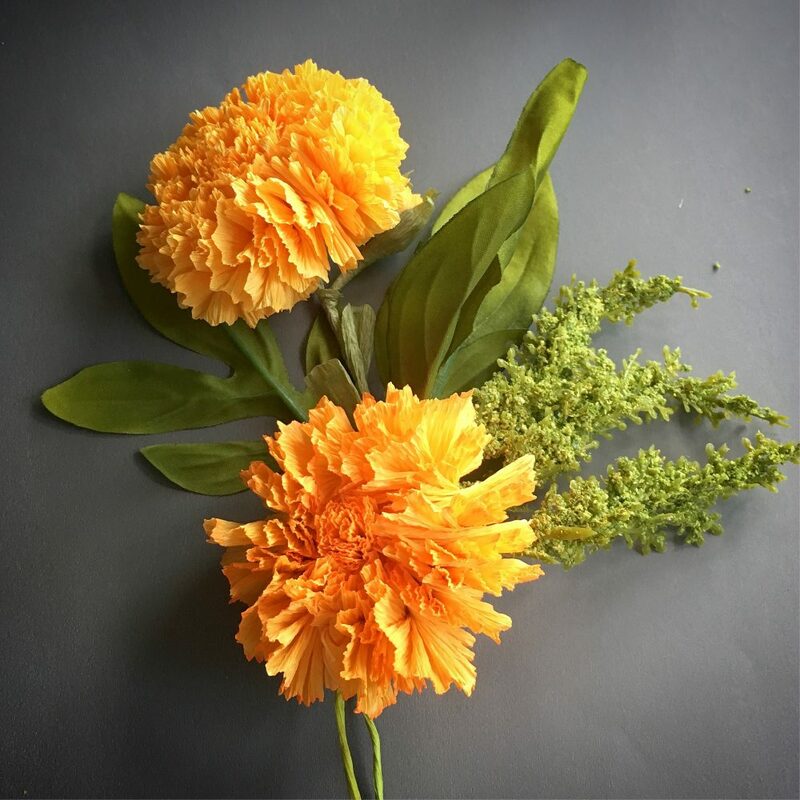 Make some colourful experiments and you will have the best autumn marigold bouquet ever! Long lasting and bright! Thank you Galina! ♥ Enjoy!